Before he had turned 21, Arthur Rimbaud (1854–1891) upended the house of French poetry and left it in shambles. What makes Rimbaud’s poetry important is part of what makes his life so compelling: rebellion, audacity, creativity and exploration. Almost all of Rimbaud’s poems were written between the ages of fifteen and twenty. Against the backdrop of the crumbling Second Empire and the tumultuous Paris Commune, the poet took centuries-old traditions of French versification and picked them apart with an unmatched knowledge of how they fitted together. 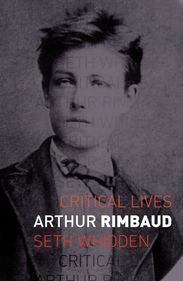 Combining sensuality with pastoral, parody, political satire, fable, eroticism and mystery, Rimbaud’s works range from traditional verse forms to prose poetry and include the two first free-verse poems written in French.